UPDATED 12/2/2016: Nearing its one-year anniversary, a program in Kalihi that helps Micronesians connect to health, social, education and employment services has now served more than 2,000 people. But it has also come in for some criticism lately. The Halau Ola One-Stop Center, at St. Elizabeth’s Episcopal Church on North King Street in Honolulu, was established to assist citizens of three Micronesian nations who have immigrated to Hawaii. Those numbers have grown to well over 15,000 people in just a few decades, thanks to impoverished conditions back home and a treaty with the United States that allows for easy travel to and from the Federated States of Micronesia, the Republic of the Marshall Islands and the Republic of Palau. We Are Oceania staff members Kathy Martin and Keola Diaz at the Halau Ola One-Stop Center in Kalihi. Howard’s views are indeed echoed by government figures, including the top federal official dealing with U.S.-Micronesia relations in Washington, D.C. The center is supported by $500,000 in federal funding. 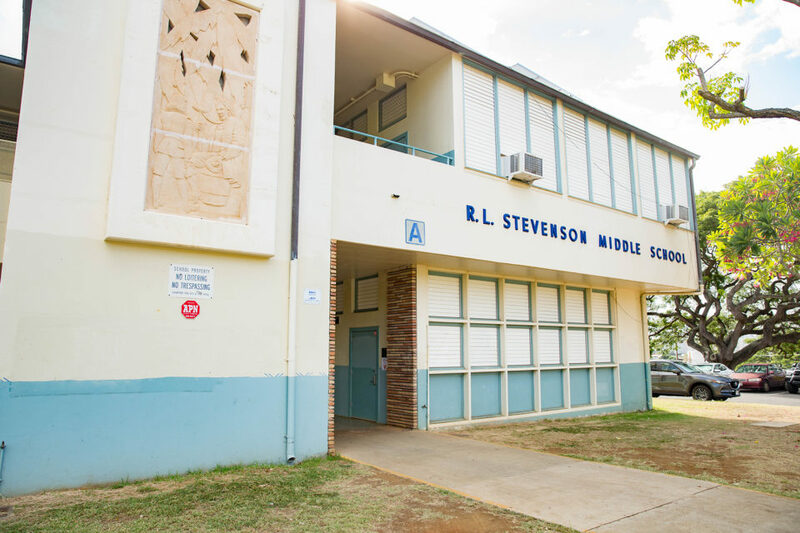 Its performance, as well as that of a sister resource center in the U.S. territory of Guam, is the subject of a blistering opinion piece published in the Honolulu Star-Advertiser in late May and a similar opinion piece in Guam’s Pacific Daily News a week later. The failure is startling. 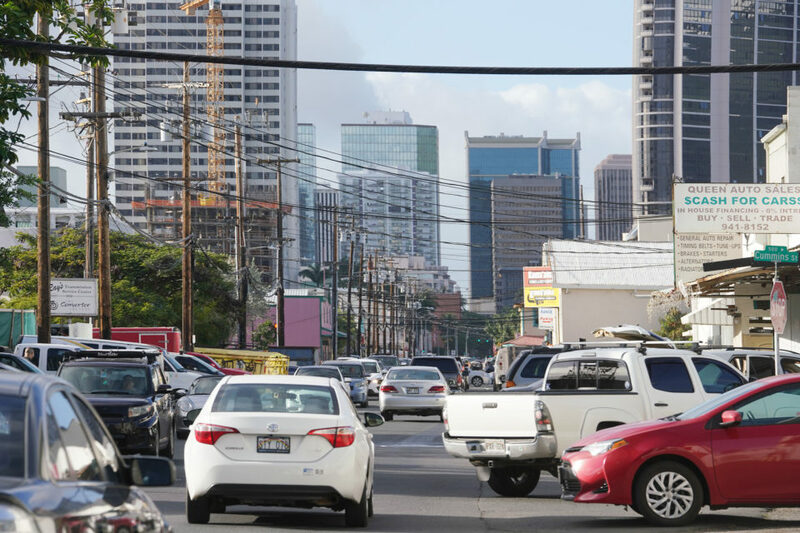 Leaving stagnant, semi-cash, local economies for better lives on Guam or Hawaii is no longer just a rational choice for many FAS migrants; it is virtually axiomatic. FAS stands for Freely Associated States and is another name for the three nations that are party to the Compact of Free Association, a 30-year-old agreement with the United States that allows for visa-free travel from those Micronesian countries to live and work in the U.S. and its territories. Caseworkers at these centers are trained to immediately sign up migrants for entitlements, equipping them to aggressively cash in on the vast number of benefits available. Esther Kiaaina, who heads the U.S. Office of Insular Affairs, strongly disagreed. “While I welcome his right to free speech, I am saddened that someone who professes to care about the issue would rather do it publicly as opposed to having the common courtesy and decency to come and say, ’Is there any way that I could help?’” the assistant secretary said in an interview in Washington, D.C., earlier this month. 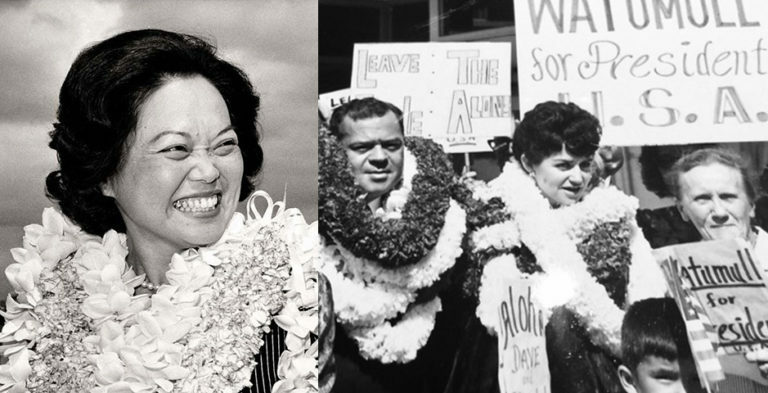 The one-stop centers were developed under Kiaaina, a Native Hawaiian from Hawaii who has lived in Guam. Her boss, Interior Secretary Sally Jewell, is responsible for coordinating federal policy in Guam and the compact nations. 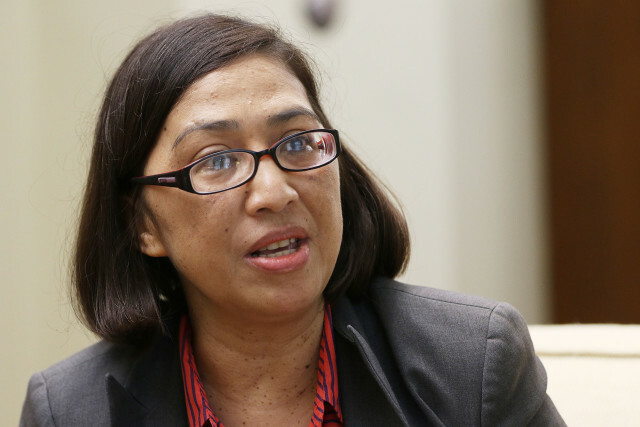 Assistant Secretary Esther Kiaaina defended government efforts to assist Micronesian immigrants during an interview at the U.S. Department of the Interior in Washington, D.C., earlier this month. Kiaaina said Mellen is not “objective” because he was rejected for an Interior grant to help fund his own proposed work in Micronesia relating to migration. 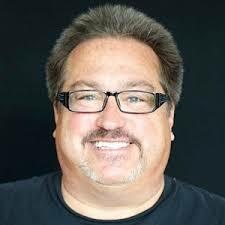 Kiaaina said Mellen used a Freedom of Information Act request to obtain information about use of Interior funds. “I was aware of that, and that is his right, but to just attack the Office of Insular Affairs as well as the intent of the one-step centers is regrettable, because if he truly cared about the Micronesia people, he would work with us as opposed to throwing spears,” she said. 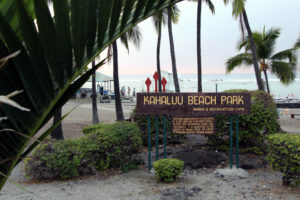 Update: Mellen said Kiaaina either “misspoke or was in error” regarding the proposal, stating that the particular grant work in question “is not within our mission.” A DOI spokesperson, however, says the department stands by the report. 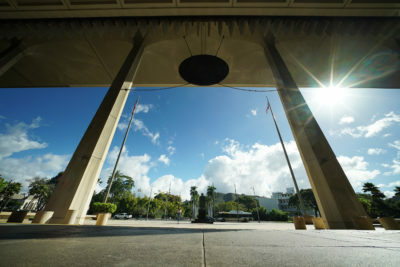 What the assistant secretary was referring to — and what Mellen has tapped into — is resentment on the part of some local residents in Guam and Hawaii that COFA citizens are abusing social services at the expense of taxpayers. We Are Oceania’s banner hangs outside the one-stop center at St. Elizabeth’s Episcopal Church. As Civil Beat chronicled in its series The Micronesians: An Untold Story of American Immigration, the discrimination is real and painful, even though many Micronesians are contributing to their new communities and paying taxes themselves. Their migration is not without financial costs. 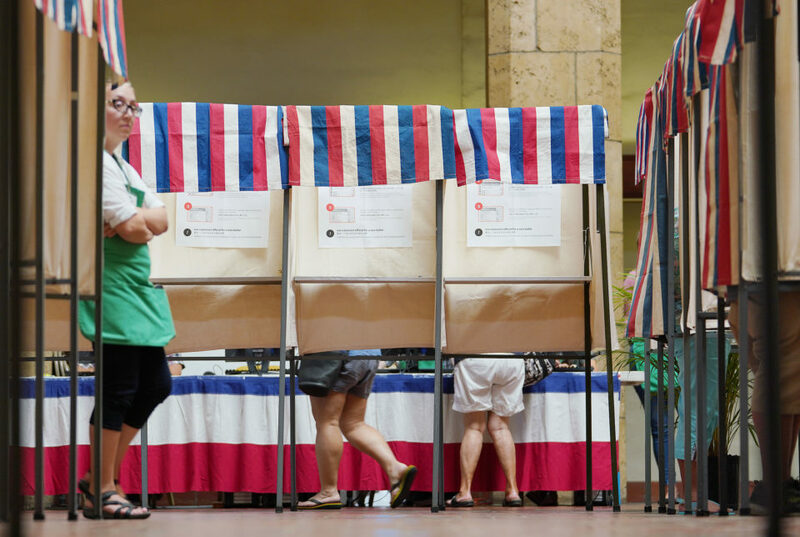 The federal government provides Hawaii $11 million a year and Guam $16 million a year for Compact-Impact Aid, but it falls far short of what is needed. For example, in 2014 Hawaii spent $163 million to support COFA migrants with social services, education and health care. The COFA nations also currently receive almost $200 million a year in direct U.S. aid. 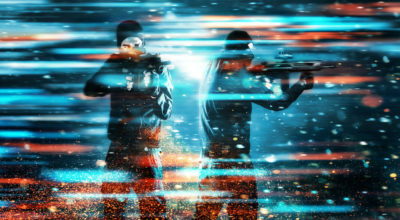 Government audits show that the money has not always been spent wisely. Mellen argued that the one-stop centers are contributing to out-migration and dependency on the U.S. Others have argued the centers are empowering Micronesians. Doctoral students Bradley Rentz of the University of Hawaii Manoa and Josh Levy of the University of Illinois Urbana-Champaign wrote in a Civil Beat Community Voice article June 14 that the center in Honolulu is addressing critical community needs. 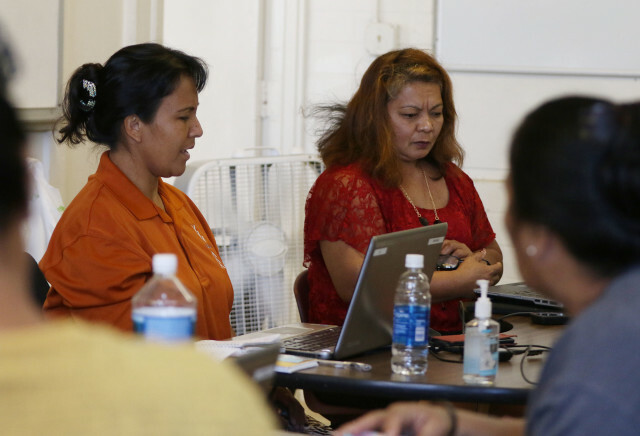 Julie Johannes, left, and Rina Livae help Micronesians enroll in health care services at the one-stop center. While acknowledging the “important work” done by Mellen’s own nonprofit, the Habele Outer Island Education Fund, Rentz and Levy wrote that Mellen’s opinion piece “missed the point” of the Interior Department’s work and the history of Micronesians. 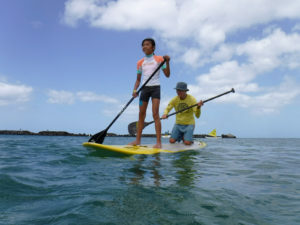 We Are Oceania was granted $250,000 from the federal government in August 2015 to start the center, while Big Brothers Big Sisters of Guam received about the same to start that island’s Micronesian resource center. 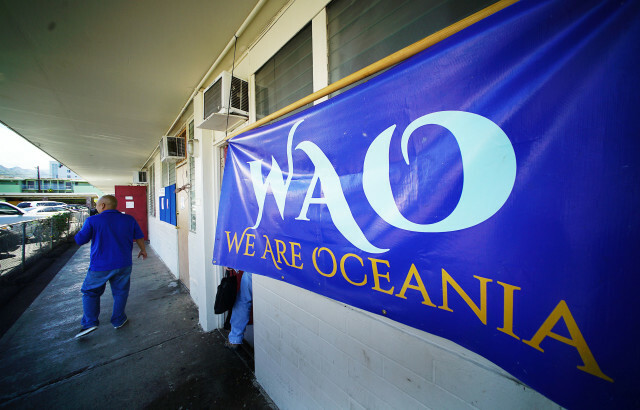 In April, another $250,000 in federal funds went to We Are Oceania while the Guam group received an additional $210,000. Howard, the We Are Oceania program director, is from Chuuk. She said the center employs three staff members — herself, case manager Kathy Martin, also from Chuuk, and social services manager Keola Diaz, who is a mix of Japanese, Korean, Chamorro and Palauan. There are also eight certified people on call to help enroll COFA citizens in HealthCare.gov, the Affordable Care Act (Obamacare), as well as five volunteers and four student interns. During the last health care enrollment period in February, the center served more than 20 people a day — sometimes many more. 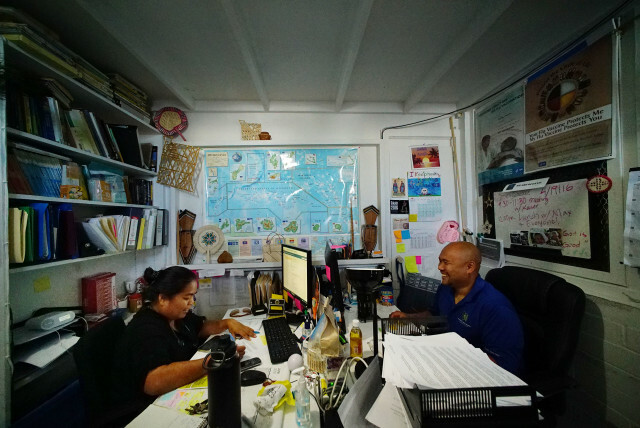 On average the center is currently helping more than 10 Micronesians daily, primarily as a connector service to health, language and job training programs. “This has been something that is very important in terms of the Micronesian community’s success and sustainability in Hawaii and the U.S.,” said Jan Hanohano Dill, president of the nonprofit Partners in Development Foundation, a organization focused on at-risk groups within the Native Hawaiian community, which awarded the Interior grant to We Are Oceania. 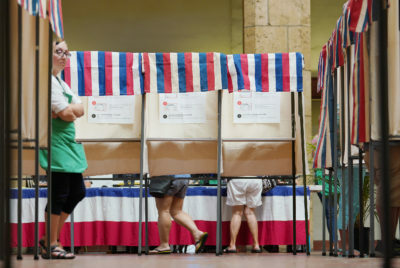 “It’s obvious that there are tremendous pressures and vacuums of service in Micronesia that really can’t be backfilled economically, and so consequently people will come to Hawaii and to the U.S. seeking medical and economic and educational help,” Dill said. 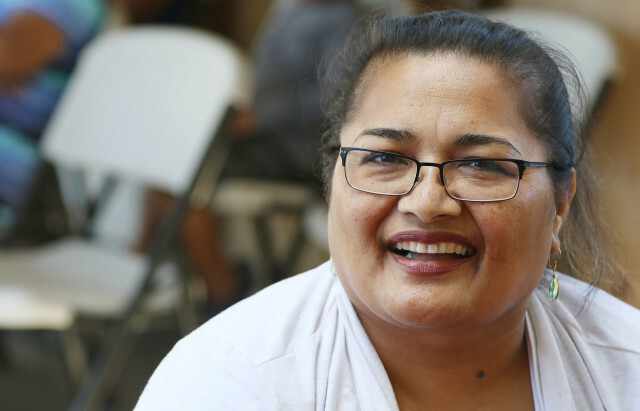 Josie Howard in Kalihi in February 2015, helping enroll COFA citizens in health care services. Rachael Wong, the director of the state Department of Human Services, agreed. She was among those in attendance when the one-stop center opened last summer. The one-stop center’s funding is not permanent. Dill said there are efforts to get financial support from the COFA nations and groups in Hawaii. The goal of Partners in Development Foundation is for We are Oceania to be able to operate independently by August 2018. A visit to the center Tuesday revealed a casual setting that might feel familiar to people from Micronesia, a heavily Christian region. In another room there were Micronesian handicrafts and a huge map of the region. Signs advertised flu shots, cell phone services and voter registration.